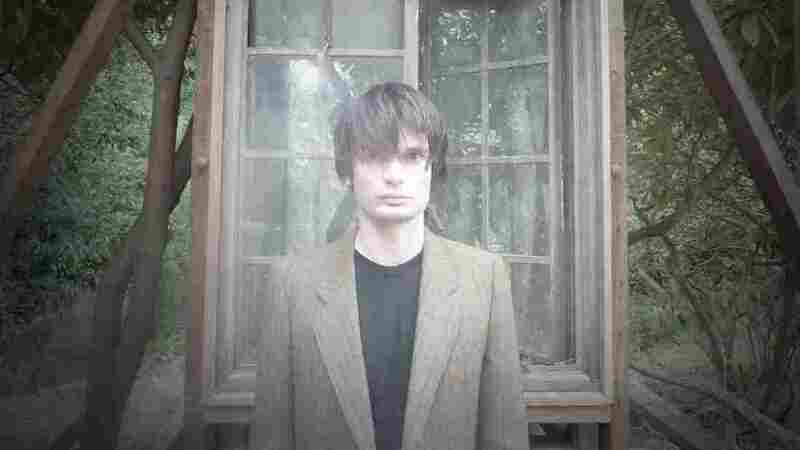 Radiohead's Guitarist Adapts To Life In Widescreen Jonny Greenwood began as an underachieving viola student at Oxford. After years of crafting the iconic guitar sound of Radiohead, he's found his way back to the orchestra as a film-score composer. Jonny Greenwood is responsible for the score of The Master and There Will Be Blood. Reviews of the new film The Master have ranged from acclaim to disdain. Almost all the critics, though, seem to admire the film's music, composed by Jonny Greenwood. Greenwood's story begins in the early 1990s, when he was playing the viola at Oxford University and not making much of an impression — even on himself. "I was headed for the back of the viola section in some orchestra," Greenwood says. "If I practiced hard enough." On the side, he played in a band that was hoping for greatness — and eventually found it after signing a record deal with EMI. By 1993, concert arenas and radios erupted with the sound of Jonny Greenwood on a different string instrument: lead guitar, for Radiohead. By the early 2000s, Radiohead was one of rock's biggest acts — and that's just when the band decided to sideline its guitar-driven sound for one based in synths and samples. That gave Greenwood room to explore other instruments, and to write haunting, avant-garde compositions for orchestras. "What I really enjoy about writing for orchestras is realizing that — and it's kind of self-evident — but the fact that they are 48 individuals," Greenwood says. "It's not, you know, a preset on a keyboard. It's all these people who have opinions and who are making decisions about how to play." It wasn't long before directors started taking notice of Greenwood's new fancy. He composed the chilling score for 2007's There Will Be Blood. After that film's success, director Paul Thomas Anderson asked Greenwood back for his new film, The Master, saying he needed sounds for a cult-like atmosphere. Today, Greenwood has a lot of options in his life to make music, including the guitar — or not. "I sometimes feel a bit embarrassed to play guitar," Greenwood says. "There's something — I don't want to sound ungrateful — but there's something very old-fashioned and traditional about it. You meet kids today whose grandparents were in punk bands. It's very old and traditional, but then, so is an orchestra and so is a string section. ... [It's] is a contradiction going around in my head, and I can't really resolve it."